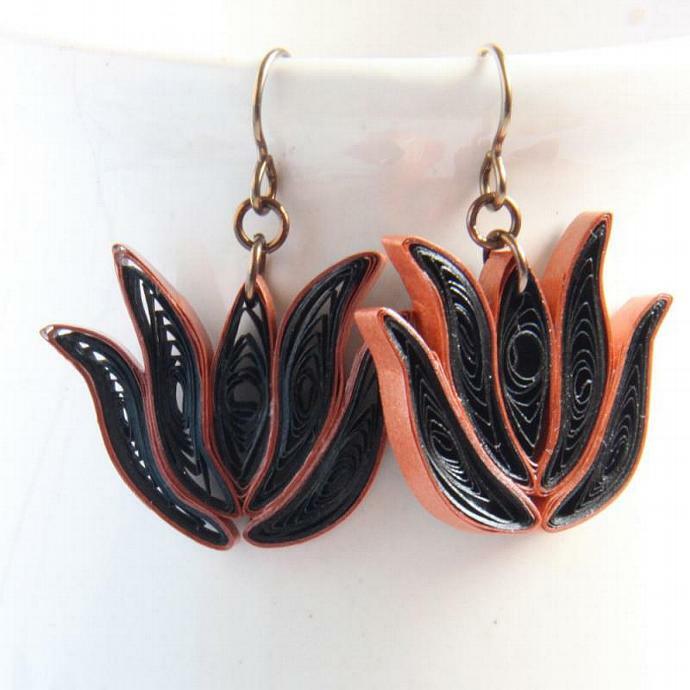 This gorgeous and fun pair of eco-friendly black and copper lotus earrings was handcrafted by the art of paper quilling. A unique gift for a loved one or yourself! 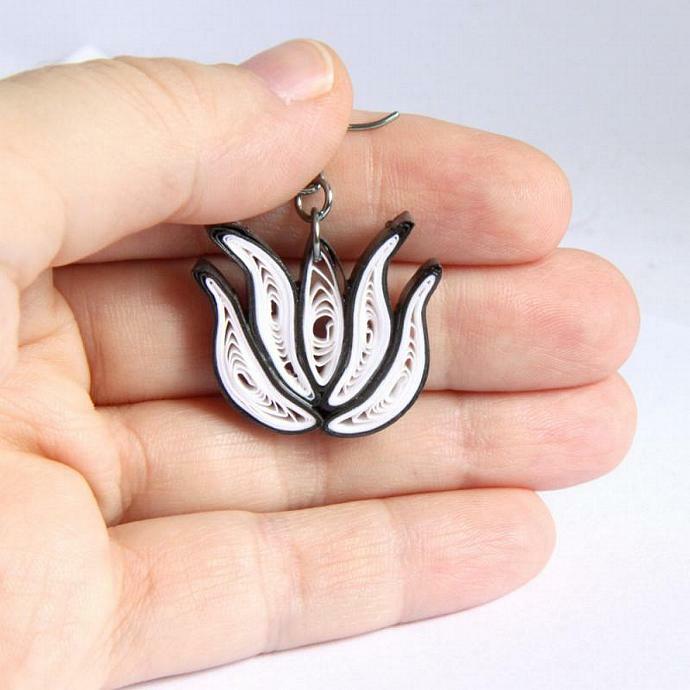 I made some lotus flowers just like these for a frame that I made for a friend's wedding. I thought they'd look lovely as earrings so I made some more. I'm glad I did, I think they are gorgeous! 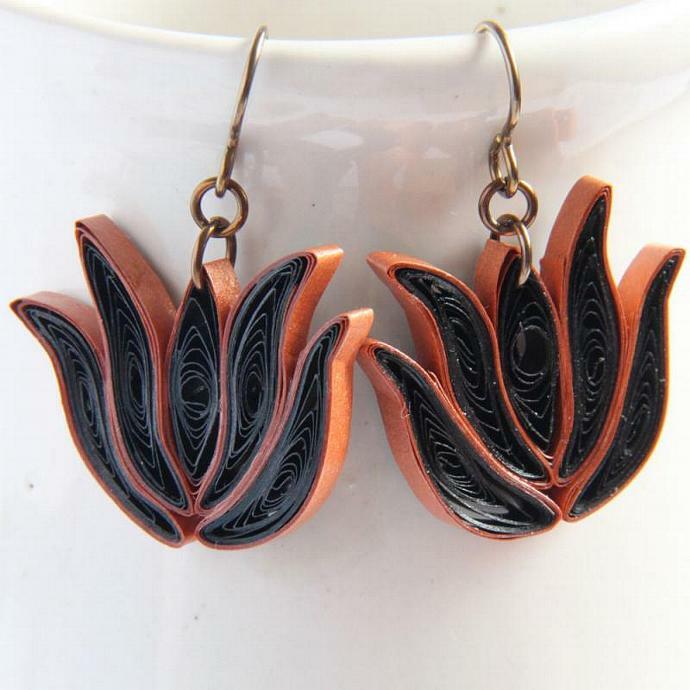 They are made with black paper on the inside, and a metallic copper paper as the border. These would be great as bridesmaid gifts and can be custom made in any colors and with a bulk order discount. I carefully varnished them with non-toxic water-based sealants for a sturdy and water resistant finish. They are finished with niobium findings. Why niobium? It is as hypoallergenic as pure gold and non tarnish! I love using niobium earring hooks for myself and I know you will love them too! 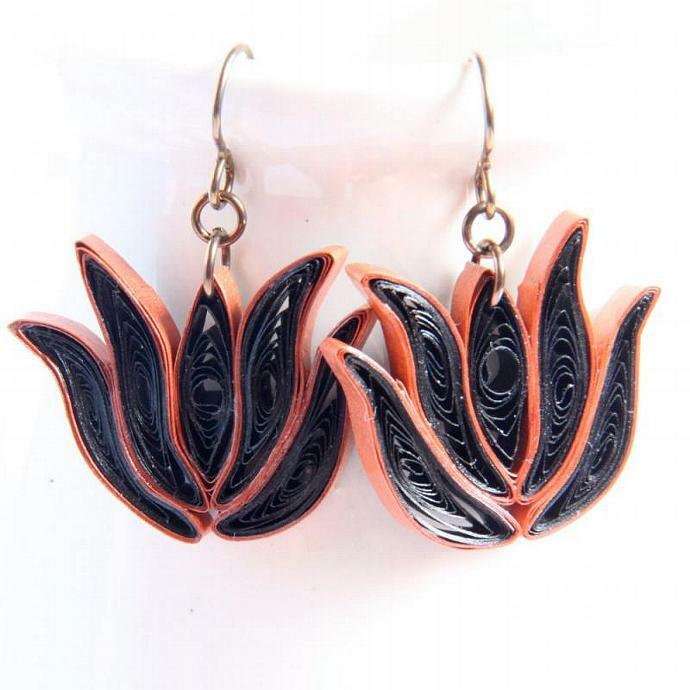 Each earring measures 1 1/2" (3.7cm) wide and 1" (2.5) cm long not including the findings. These earrings, like all my jewelry, come packed safely in a cute gift box. If you order multiple items, I may pack in fewer boxes than there are items, unless you request otherwise. 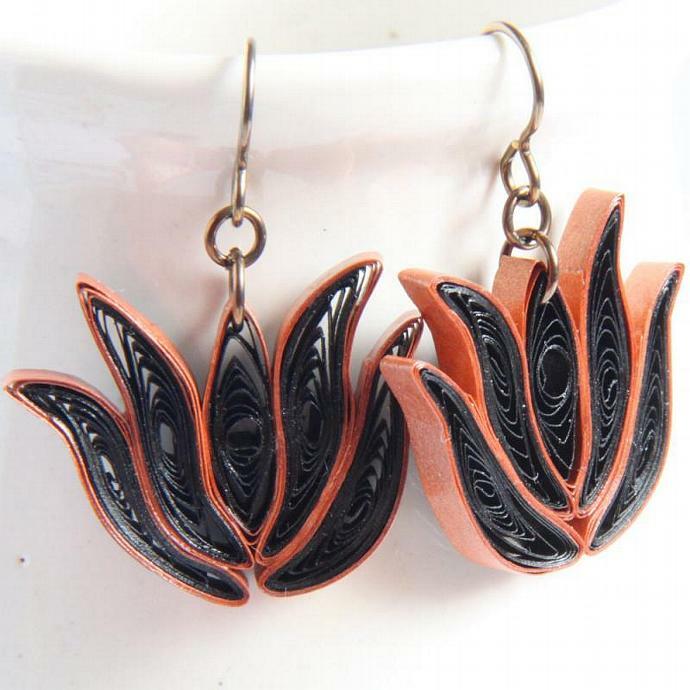 Would you like a earring and pendant/necklace set? I have one in my earring and necklace set category. I can also make a set in any color combination you would like!